I remember pondering this question as early as my pre-teen years, way before I even knew what child support entailed. Growing up, I was a huge fan of Kimora Lee Simmons because of her lavish lifestyle. 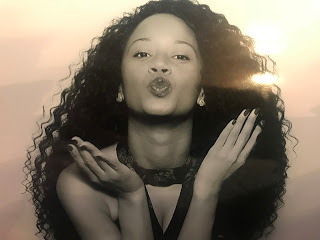 When she and Russell divorced, I recall watching an entertainment news show that reported she received upwards of $40k per month in child support expenses alone. I was flabbergasted. Even then, I thought that was an obscene amount, and that was over a decade ago. It seems as time goes on, these payments are getting even more astronomical, specifically within the world of entertainers and the wealthy. Just recently, Nas and Kelis were in court over an alleged $50k a month. Why I’m left perplexed has less to do with the amount of child support awarded and more to do with whether the funds are monitored in how they are spent. And, even more so if the parent receiving the child support income or potential income are being held accountable for what they are equally contributing to raise this child. I understand that child support is determined from various angles: who has sole physical custody, the monthly income of parent ordered to pay, lifestyle accustomed to parent and child and basic necessity in terms of food, shelter, clothing, schooling and medical expenses. But both parents should be expected to contribute to the child - unless the parent is disabled mentally or physically and is unable to contribute in the same way. And Nia ain’t disabled in any way. In fact, she claims she needs more support from Chris, for their child, because she makes little money from her online clothing boutique, which is her only means of income. Additionally, her monthly housing rent far exceeds her personal income and from court documents, it appears as if she’s using the child support from Brown as a substitute for her and their child’s overall lifestyle. This is where my problem with child support lies in the celebrity sector. First, if she’s making minimum income from an online boutique she runs, the obvious thing to do would be to pick up a part-time (or full-time job) to compensate from what she’s lacking, considering that according to her, their child is in child care and also has a nanny, her mother who Brown pays - which means that while this child is in school, she can work. Second, the court documents explain that her rent is $3,000 a month for an apartment, which is a luxury she cannot afford on her own. It’s time to move sis. I’m sure you can find a nice 2-bedroom apartment in a suburb in LA for $1,200 a month. Or, you could move your mother in, who Chris pays $4,000 a month for childcare, and use that additional $4k you’re getting a month for a 3-bedroom home for the three of you. You’ll come out cheaper. But Nia doesn’t want to do any of what I suggested. She feels entitled to a certain lifestyle because she has a child by Chris Brown. There are some who feel that children who have celebrities as parents should be awarded certain things. Depending on the level of celebrity, the only thing I’d agree that a child should have additional would be security and private schooling, and maybe living within a certain area for additional protection. However, it should not be based solely off of one parent’s income. And considering there are millions of mothers who unfairly make a way daily without any support from their child’s father while they work, go to school and arrange childcare among other things, those examples should be taken into account regardless of celebrity when judges grant support. Conditions need to be set in stone for the mother (or whatever parent is receiving the support) to pull their weight. It’s unfortunate as children are innocent bystanders in these legal and often selfish battles for more money. Many would argue that what’s law is law and regardless of how astounding the number awarded is, whoever earns the most money should be responsible for paying, especially if they don’t have sole custody. Obviously, if a child spends the majority of the time with one parent, then more funds are being spent probably on a daily basis. Even still, that parent should work. And many of these celebrity baby mamas of rappers and athletes do very little outside of Instagram promotions for employment. A lot of them vie for the stay-at-home and travel as they wish - with money that’s set to be used for their children’s well-being. There needs to be a system in place to protect those distributing the funds from parents who opt out of work and providing to their full potential since the other parent is well-off. Child support is just that - support for the child. 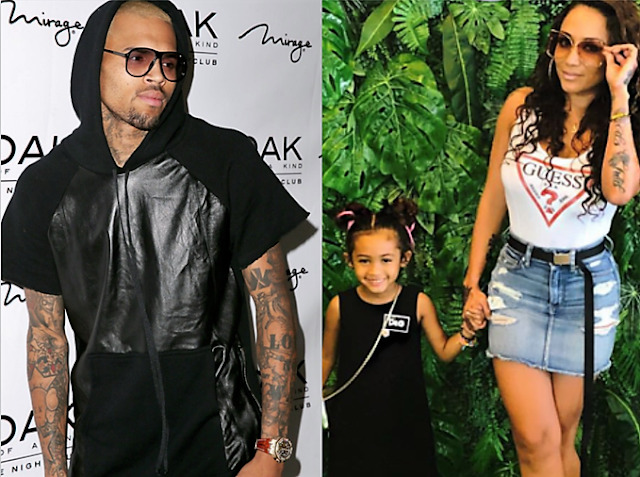 Do you think many celeb baby mamas exploit the kids to support their own lifestyle?